I’m back in Boston after a rousing red-eye flight from Orange County. I was at Balboa Yacht Club this weekend for the US Youth Match Racing Championship for the Rose Cup, kicking off my summer travel schedule. The event is the brainchild of Balboa’s own Andy Rose and US Match Racing Committee Chairman Dave Perry. While the Rose Cup has been held for a few years now this is the first year US Sailing has taken it on as an official national championship event. 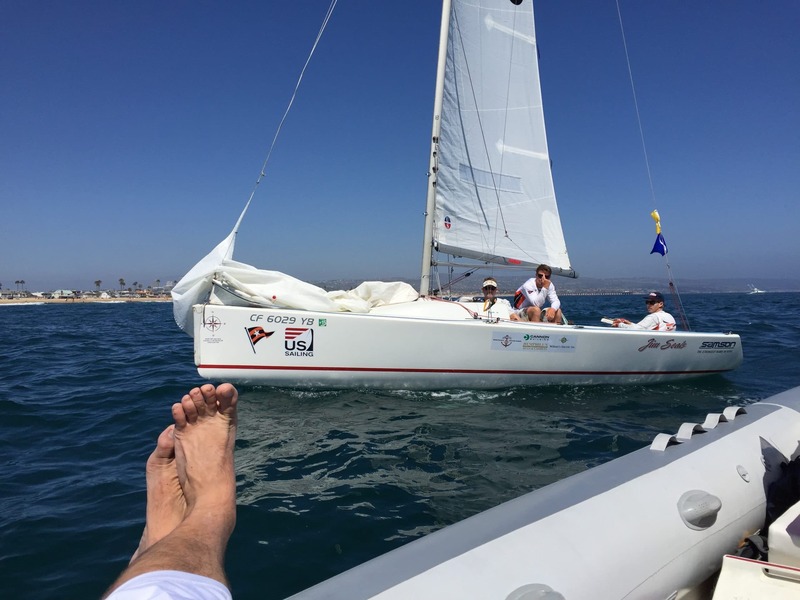 Balboa Yacht Club is also the host of the Governor’s Cup, a prestigious international youth match racing event for which the Rose Cup is a qualifier. I’ll be back for that event in a month, flying the copter alongside the same crew from Jobson Sailing that I worked with in early June for College Sailing Nationals. Can’t wait!